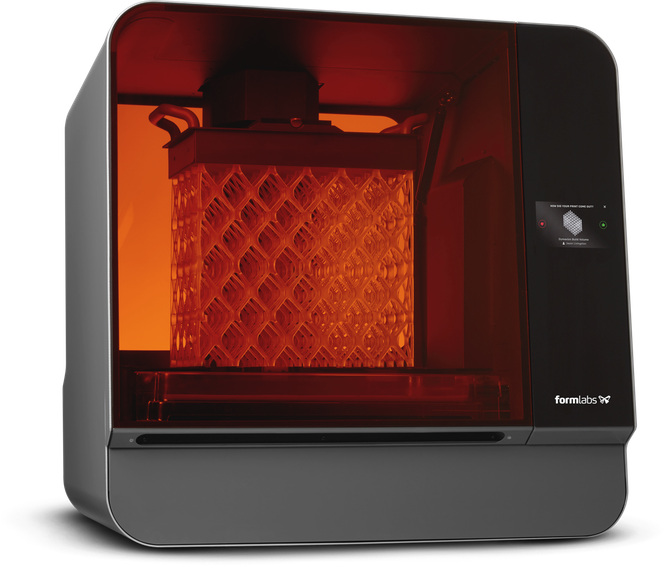 The Form 3L is an affordable large format 3D printer trusted by professionals for fast turnaround of industrial-quality parts. 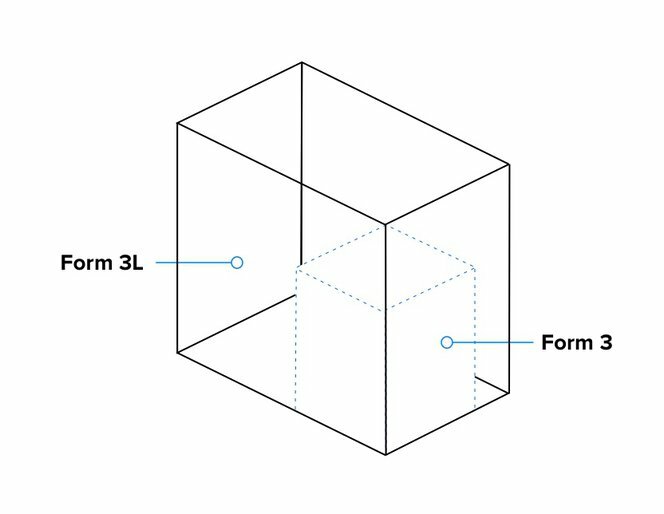 Form 3L offers five times the build volume and two times the laser power of the Form 3. 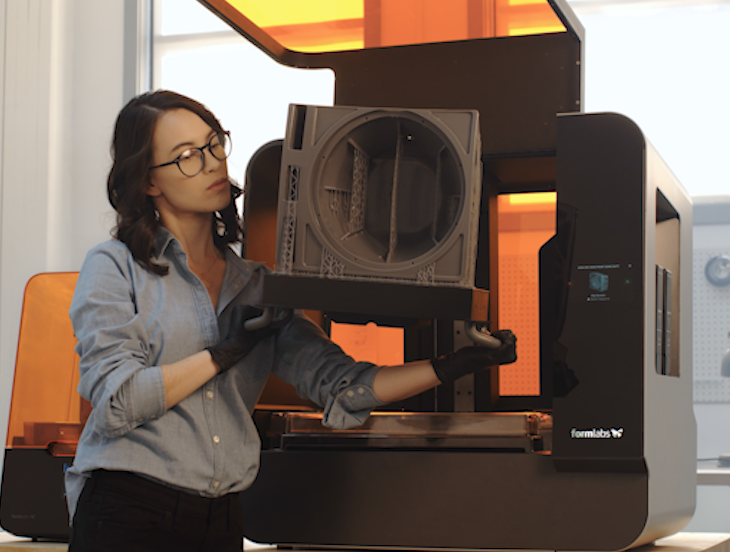 With advanced Low Force Stereolithography (LFS)™ technology, Formlabs has completely re-engineered resin-based 3D printing to drastically reduce the forces of the print process. Low Force Stereolithography (LFS)™ uses a flexible tank and linear illumination to deliver groundbreaking print quality and printer reliability. 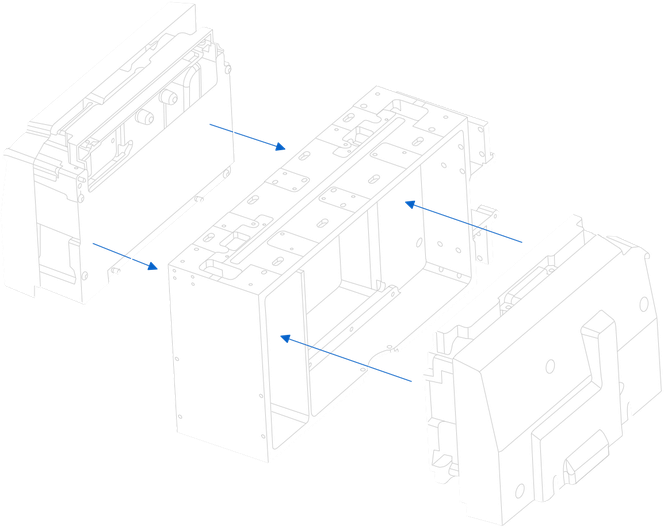 Two staggered Light Processing Units (LPUs) inside the printer use a compact system of lenses and mirrors to deliver accurate, repeatable prints. The two LPUs work simultaneously along an optimized print path to efficiently blaze through parts of all sizes. Each high-density laser passes through a spatial filter to guarantee a clean laser spot. A parabolic mirror ensures that the laser prints perpendicular to the build plane, ensuring uniform print quality across the entire build platform. Integrated sensors help maintain ideal print conditions and send you alerts about the state of your machine. The Form 3L can hold two easy-to-switch resin cartridges, preventing interruptions during large print jobs. Optical sensors continuously correct for scale and power, and can even detect dust. The Light Processing Units, resin tank, rollers, and optics window can be replaced in-house, reducing the need for replacement printer shipments. Design your model in standard CAD software and import an STL or OBJ file into our PreForm print preparation software. Send prints over WiFi, reprint previous jobs, and manage your print queue with ease with the printer’s intuitive touchscreen interface. Easily tear away fine-touch supports after printing and put the finishing touches on your parts with the Form 3L Finish Kit. Switch seamlessly between a library of general purpose and specialty resins with a cross-compatible cartridge system. Plan and manage your print queue in PreForm and manage printers and teams through your online Dashboard. 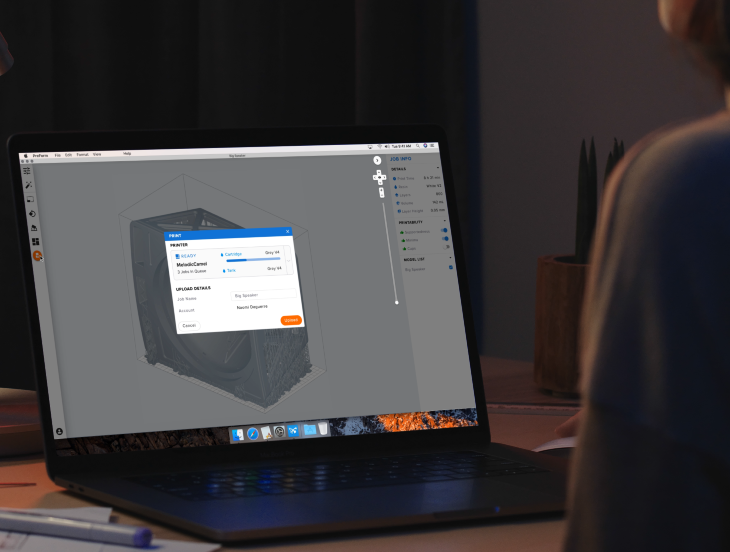 Get helpful, human service when you need it from a Formlabs expert, with plans that scale with your business. 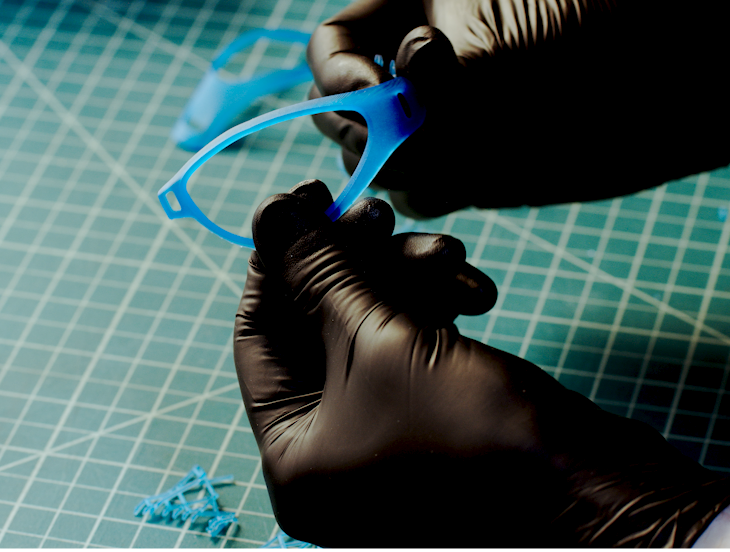 Start scaling your prototyping and production today.